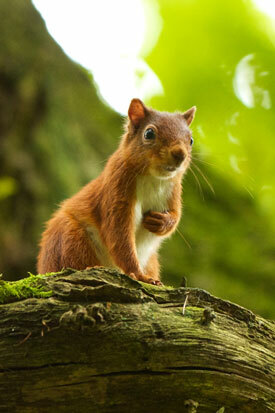 RSST supports NRS and other Red Squirrel Conservation Groups in the UK. 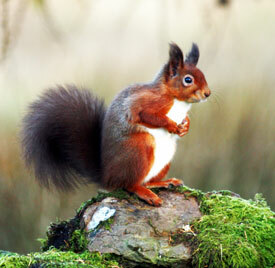 You can become a Friend of RSST or make a donation and as a result, help to save our red squirrels. More details can be found on their web site. The UK Red Squirrel Group (UKRSG) aims to co-ordinate and raise awareness of the conservation needs of our native red squirrel and the action being taken to deliver this under the UK Red Squirrel Species Action Plan. 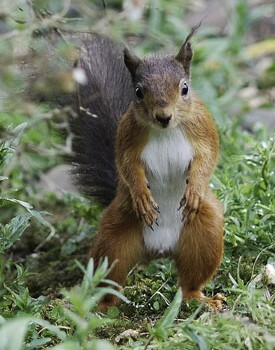 The group has an official responsibility to report the success and progress towards this within the overall UK Biodiversity Action Plan but also helps to develop and co-ordinate advice and best-practice on red squirrel conservation issues for landowners, conservationists, statutory officials and the general public. The European Squirrel Initiative aims to create, develop and maintain a campaign to win the support and commitment of governments throughout Europe in securing the future of the red squirrel through the effective control of the grey squirrel. The UK Squirrel Accord (UKSA) consists of 32 leading woodland, timber industry and conservation organisations in the UK. It was created at the invitation of HRH Prince Charles – who had the aim of bringing a concerted and coordinated approach to securing the future of our red squirrels and woodlands, and to controlling the introduced grey squirrel.